Around the world, ground transportation represents one of the most common places travelers are forced to pay extra. When travelers put their trust in a driver, there are plenty of easy ways those same ground transportation operators can separate a fare from their money. When utilizing a ground transportation service, be sure to be vigilant of these three common scams. It's not uncommon for travelers who are unfamiliar with a city to take a taxi cab or rideshare service wherever they need to go. From the moment a visitor gets in and announces their destination, those same drivers may not be interested in taking the most direct route. This practice is called "long hauling," and it's a technique that some drivers will use to artificially inflate the fare. Unfortunately, this isn't just an international problem, either. According to Forbes, "long hauling" was responsible for overcharging passengers millions of dollars in Las Vegas. How to beat "long hauling:" Before you get in your taxi, be sure to look up the destination, as well as the most efficient routes. For those who don't have international cell service, be sure to download a map before leaving the hotel or privately rented property. Once on your way, be sure to announce the intended destination, as well as request the most efficient route possible. Those who suspect they are being taken for the "long haul," should ask the driver about their route. Finally, if they don't give a satisfactory answer, then take down the drivers name, license number, and taxi medallion number and file a complaint with the local authorities. Those who are using a ridesharing service can collect the information from their corresponding app, and file a complaint with the ridesharing company. This is a common problem many travelers face when going abroad.After flagging down a taxi or other ground transportation, the driver informs their passengers that the meter isn't working correctly, or is out of order entirely. Either the meter is completely inoperable, it won't zero out correctly at the beginning of the ride, or the meter is running fast throughout the trip. However, because the driver is nice, they say they will negotiate a "fair" price with for the ride. How to beat broken meters: In most developed countries around the world, having a broken or inoperable meter is illegal. Drivers who accept fares with a broken meter are most often looking for a quick trip to the bank. If the ground transportation driver says their meter is broken, the easiest thing to do is to simply decline the ride. Those who are concerned that their meter was not zeroed out correctly, or is running fast, can track the miles on their smartphone (where available) and compare with the driver's record. If the driver refuses to discuss the situation, keep a receipt and make note of the driver's name and license number. Smart travelers may still be able to dispute the charge with the local taxi authority or ridesharing service. Depending on the city or country, arranging ground transportation can be a very different experience. Scam artists are aware of this, and may often target tourists disguised as a taxi service to make a quick dollar. 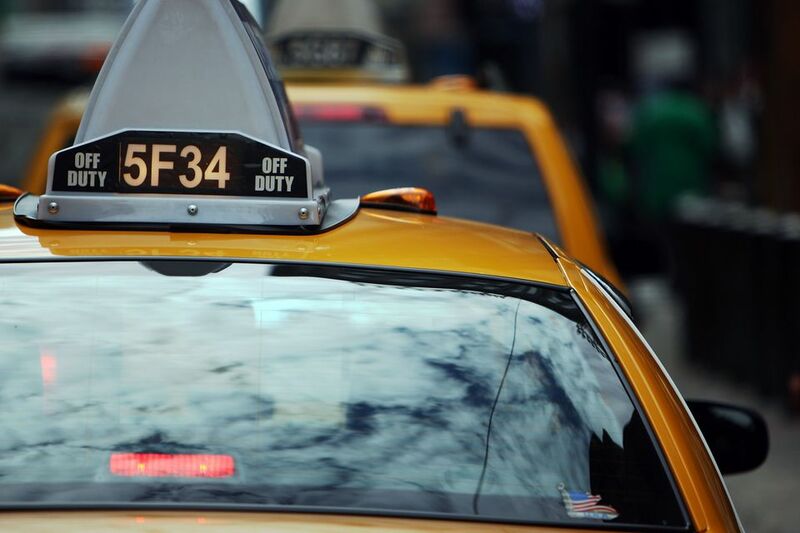 Just because a driver stops and offers tourists a ride does not necessarily mean they are licensed with their local authority, or operating under the authority of a ridesharing service. In New York, these are known as "illegal livery services," or "gypsy drivers." As a result, travelers put both their money and well being on the line when getting in an illegal ground transportation vehicle. How to beat illegal liveries: At the most common spots to request ground transportation, including airports, hotels, and certain tourist locations, there will usually be a taxi station. Always start by checking in at the taxi stop. Those who are using a ridesharing service should compare the information given by the rideshare app with the driver that stops for them. All ridesharing apps will provide the name of the driver, as well as the make, model, and licence plate of their car. Those who are going somewhere without taxi station can ask the local tourist office or hotel lobby about legitimate ground transportation services. Many hotels will be glad to provide the names and numbers of licensed taxi operators in the city. Finally, if a vehicle stops that doesn't look like a traditional taxi (such as a black car or SUV) that you didn't arrange through a ride-sharing service, don't accept the ride. If they are persistent, then call the local police and ask for assistance. No matter where travelers go, safety and preparation are two items that must always be packed. By knowing the signs of the most common ground transportation scams, travelers can protect yourself - and their wallet - from being taken for a ride.